Most modern cars now have air conditioning or climate control systems fitted as standard. Most of us are familiar with using the aircon, but not everyone realises that the air conditioning system needs regular attention to make sure it is working efficiently. A proportion of the Aircon gas escapes from the system every year reducing its efficiency. Manufacturers recommend that your air con system is recharged with gas and lubricant every two years. This service is not part of routine vehicle servicing so many vehicles are operating with inefficient air con systems. As the aircon system is driven by a compressor which is driven by the engine, an inefficient system will have to work harder and therefore use more fuel. 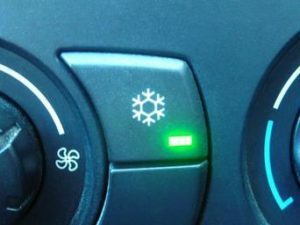 Air con systems are not only for hot days, they are also vital for demisting your windscreen on colder days. BEST Autocentres offer a complete airconditioning recharge service and can if required include a system debug to clear bacterial build up from within the system, which will remove any unpleasant odours. Most cars use R134a aircon gas, however most new cars will use R1234yf which is less harmful to the atmosphere. These are not interchangeable without major adaptations. Unfortunately the cost of aircon gas has recently rocketed due to government intervention.